An abrupt halt is called to his creativity when he enters second grade and comes up against the anti-building might of Miss Lila Greer, “On the very first day, she had this to say: “We do not talk of buildings in here!” (The explanation for this building hatred is explained in hilarious detail). After several boring days of school stripped of his inspiration, Iggy Peck is taken along with his class on a hike and a picnic to Blue River Pass. A collapsed bridge, and subsequent collapsed teacher allow Iggy and his building skills to come to the rescue. His bridge made from tree roots, strings and underpants, is worthy of an award and melts Miss Greer’s brick-hating heart. From that day on, Iggy is free to share his passion with his classmates. Told in very funny rhyming verse, this is a brilliant read-aloud. The illustrations are to be admired, in particular the detailed depictions of Iggy’s creations and his school classmates are a lovely diverse bunch. In great news there is also the equally excellent Rosie Revere Engineer by the same dynamic duo. 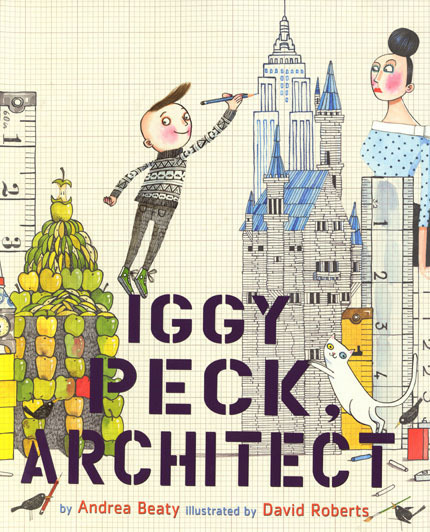 Check out Iggy Peck Architect at Auckland Libraries. 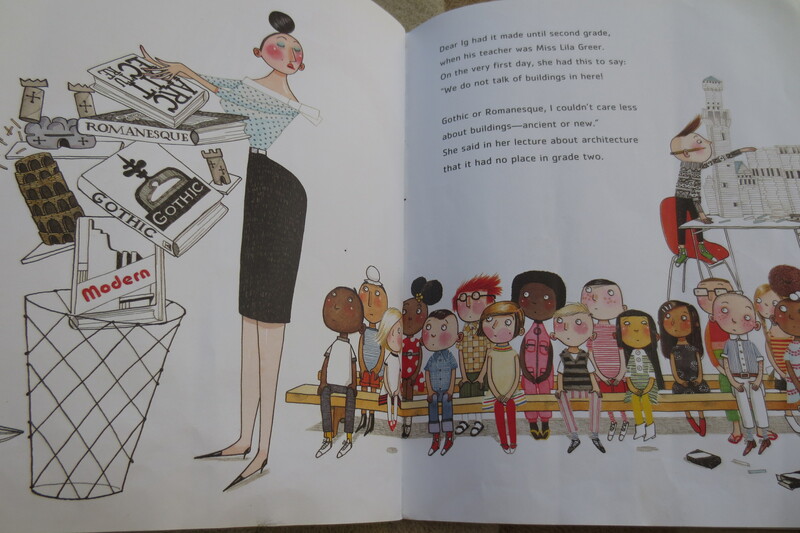 Or buy Iggy Peck Architect from Fishpond. It really is. I’ve always been a huge fan of graph paper, I love how it has been included in the illustrations. Enjoy! Yippee you're going to follow my blog! If a daily email is going to be too-much-Lucy, I can recommend you subscribe to the RSS feed, or like the Facebook page instead.